Hi bb, I was planning to cover the new questions from the OG 17. So, would it add value to do them now since you have pointed out that there are multiple errors in the same? Thanks! First of all, I am not a GMAT tutor or an expert. I am writing about my opinion which some other person may not agree with. I have come to this opinion from my experience, my friends' experience and some of the experiences of GMATClub users that I read here. If anyone is targeting a score of 700+, then relying on only official materials, questions and mock tests may not work very well. From my experience and the experience of some of my friends whom I helped, it is evident that one needs to have very good understanding of the concepts that GMAT tests to score 700+. There is no shortcut. To build these concepts, one needs to go through some test prep materials like MGMAT SC guide or PowerScore CR Bible or similar things. The official guides do not deal with these concepts and strategies in detail. One cannot build these concepts by just looking at the answer explanations of the official guide. They are not focused on any particular topic and they are arranged randomly. As suggested by every one here no two GMAT question are same. So, no two answer explanations are also same. If you don't have a good understanding of the basics, you won't understand the explanations fully. The test prep companies do use synthetic questions that is aimed at building one specific concept. These should never be used for actual GMAT practice. But they are very helpful for building concepts and that is what they should be used for. Once you build the concepts, you can practice the official question as they are very close to the actual ones. Regarding the official tests (GMATPrep,EP etc), they are the closest to the actual ones. But again they are not actual GMAT. There is certainly some difference which GMAC will never reveal. They use real questions from past. But you need to remember these will never be repeated and no two GMAT questions are same. Over the time the questions have changed and that's why people stress on the latest version of the official guide first. Again, what have not changed much are the underlying concepts that GMAT tests. So, to score 700+, you need to be strong with the concepts. If you are playing soccer and you want to be on the peak of your game every time then you should not only watch past match videos and practice similar situations in similar way. You need to practice in every condition to be immaculate. You need to practice with computer simulated hypothetical scenarios, you need to practice in low pressure, in extreme heat, with extreme load and what not. This kind of practice makes you ready for any unforeseen situation. The idea is you need to practice under varied condition so that you build such strong basics that can work under any condition. The same is true for test prep company tests. They are not close to GMAT. Some questions are mere imitation, some are too difficult, some are vague and some use heavy calculations that will never come in actual GMAT. But they are built by experts to test the core concepts tested by GMAT. In my opinion, they are successful in doing that more often than not. They give you the varied practice that you need to strengthen your basic concept. You should probably stick to GMATPreps when you are near to GMAT, but in the earlier stages you should use some of the MGMAT or VeritasPrep or Kaplan practice tests to give your practice some variety. If practicing only the test prep companys' tests and questions is a pitfall, then practicing only official questions and tests is also a pitfall. The problem with GMATPrep tests is that they don't have too many difficult level question. If you have practiced a lot of difficult level official questions and have given 3-4 GMATPreps scoring 700+ in each attempt then there is a high chance that you will get around 2-3 repeat or known questions in your 5th or 6th attempt. Not only you can answer those correctly, it will also mean you take less time to answer those which in turn will further increase your score as you get more time for other questions. This may give you an inflated score. It happened with me in my 4th GMATPrep test that I gave just the day before my actual GMAT exam. I scored 770 as some of the questions were repeated. I knew the score was inflated a bit as I was scoring between 720-740 earlier in GMATPreps. Anxious, I gave a MGMAT test and scored 730. I was happy. I never scored beyond 710 in MGMATs before that and I knew that I can score higher in GMAT. So, that gave me the confidence that if I do well I can get 740 or more. I have seen this happen with some of my friends as well where some of the later GMATPrep scores were very high even though they were not repeats. It was mainly because they got 2-3 common questions in each section. So if you were scoring about 700-710 in earlier GMATPreps and in your last test you get 740 and suddenly you are confident about a 720 in actual one. Whereas you never crossed the 710 level really. There are 2-3 bad mistakes in the actual test and you get 680. You think what went wrong, I practiced so many official questions, I got a 740 in the last GMATPrep, then why 680 in the actual test? Because due to practicing too many official questions and giving too many official tests you probably got some common questions. You may not have even noticed it as you have done so many of them. But your subconscious mind knows the answer due to the practice earlier. It has happened with some of my friends and some GMATClub members. This is a pitfall for practicing too many official questions for too long. 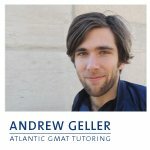 I know this post is long, but I only wanted to share my opinion as I can really see that some people are falling into this 'practice only official question' pitfall and gaining false confidence of scoring high, but failing in the actual GMAT. In my opinion, the reason was they did not build the concept strongly in some areas to score a definite 700+ but were still getting high scores in GMATPrep due to practicing too many difficult level official questions. Agree with you on the quant as it is pedestrian at times in the official guide. I realized this when i took up GMATFocus tests after solving around 300-400 GMATCLUB quant quizzes (part of the test package) and found the GMATFocus tests to be out of sync with actual OG questions in general. Some of the DS questions on OG can be solved without putting your pen to paper. However, what is your opinion about verbal? The toughest and most convoluted CRs or RC's I've seen are part of the OG and Verbal OG and not in any other third party resources I have access to. May be Magoosh's questions are on the harder side as well but few of the OG CRs and RCs were T.O.U.G.H! Senthil7, I never said that one should ignore official Qs. On the contrary I mentioned that one should concentrate only on official questions at the later stage of preparation, because they are the closest to the actual. And your comment about OG verbal part is absolutely true. Practicing difficult questions from OG over and over again is absolutely critical for scoring high in verbal. I did that and advise other to do that as well. However, I only tried to emphasize on the earlier part of preparation where one should use other test prep materials for building concepts. They should not just avoid them because they are unofficial. Also, in my opinion, the MGMAT tests really challenges ones' quant ability. So they are also necessary to build your capacity and confidence in quants. They also give some variety in the earlier part. I only tried to warn about overuse of official questions and GMATPrep questions in a way that you practice so many that you get some common questions in your GMATPrep. This will build false confidence and may be detrimental in one's preparation. Good discussion! I agree with the majority here that these days most GMAT studiers would be better off sticking to a steady diet of official GMAT materials throughout their entire preparation. That goes for regular skill building type HW and for practice tests. Why not use third party questions and practice tests? Because you have a better option! There’s just no contest. I've worked with plenty of people who've achieved whopping GMAT scores (740s, 750s, 760s. 770s, and 780s) focusing on 95% Official GMAT questions and practice tests. Can you do well with third party material? I'm sure you can. But in my mind it's just not the best thing for most people. It is true that there are some Quant content areas that are a little under-represented in the official GMAT materials. But the reality is, unless you’re hiring someone who has a really good understanding of what needs to be supplemented (or are willing to put in the effort yourself to figure it out. Not sure if this is possible in a reasonable amount of time.) then you really are better off just sticking to the official stuff. And, even if you are going to try to supplement with some third party questions, you don’t need that many. Depending on the student, I use about 60-70 questions (that I’ve written to cover some gaps) outside of the official GMAT quant. That’s it. Besides that it’s all Official GMAT. And, don’t hire me (or anyone else) based on these extra materials. They help but are just a bonus. You can have an amazingly thorough Quant prep with only the Official GMAT materials. 1. Is it that the test prep company has written tough questions in that content area. 2. Is it something else about the question (not the main topic) that is tricky and got the student tripped up. Even if it is so that a student is weak in a specific area, obsessing on that may not lead to a better outcome. That type of narrow scope can shift the focus away from what the GMAT is about: critical thinking! Yes, you do need to have basic fundamentals in place. But, I’d bet that you could not know a thing about probability and still get a 700+. Once you’ve got the meat and potatoes in place, you’re so much better off taking a holistic view of your studying. Overdoing the analytics, especially ones based on third party questions, algorithms, and content distribution can take away from that big picture view and really distort the focus of a GMAT prep. When might you use non-official GMAT materials (on the Quant side)? 1. You’ve been studying for such a long period of time that you have done every official question 5 times:) At that point you will probably benefit from some third party questions. You can run out of questions (probably the only place I disagree with Brian). It takes a really long time (this will not happen to a vast majority of people) but it can happen. Also, many of the thousands of Official Questions are easy. So for people already scoring well, there is a much smaller pool of worthwhile practice. 2. If you are really gunning for a 51 on the Quant. Not a 45, 46, 47, 48... a 51. You might benefit from doing some of the really tough GMAT club quant. But that’s after you’re already scoring in the high 40’s. 3. You’re starting with a Quant score below 30 or so. In this case you may want to start out with some really basic Quant. You don’t need to use official GMAT questions to build the very basic fundamentals. You could work through some Khan academy Quant or some old GRE quant or any number of third party “learn test prep quant” solution. But Khan is free and certainly has all you need for the basics. For verbal, things are a bit different. Still, do not use any third party GMAT questions! Really. Stay away. But, I would consider using LSAT logical reasoning to train your GMAT critical reasoning. If you’re scoring in the 20’s then the LSAT stuff wouldn’t be a great place to start. But, if you’re consistently 30+ on the verbal then I would consider tackling a bunch of LSAT logical reasoning. Great discussion everyone - happy studies! I don't think anyone in the prep industry of any kind has ever argued that Official Questions are bad (not until we found 50 mistakes in the OG 2017 but that's a separate case). So, I think we kind of have a consensus - agreed. What I think would be more helpful for everyone here and myself included is explaining how could one get away using just the official questions to get a Q50? I think it is no secret that the official gmat materials are some of the worst in terms of the source for learning rules, theories, and question strategies. Yes, they have official questions questions, but what use are they without knowing grammar rules or how to find an area of a triangle? Where would I get those details without external help such as books, courses, or tutors? (not talking about questions but materials) I salute you for arguing that one can actually build a study plan for Quant using only the Official Guide. You have gone beyond all the empty arguments posted so far. I have not thought it was possible and I have never seen it. PS. I am by no means defending GMAT Club Test questions - just wanted to clear that slight conflict of interest. I saw you mentioned GMAT Club tests, I appreciate you not dissing them as many members and moderators have worked on them but I am not defending them at the moment. Agreed - the official teaching material and explanations are crappy. But, here on GMAT club you have a pretty good explanation for just about every official GMAT question in existence. It's a great resource. Learning the GMAT specific content and question types and, probably most important, having an organized framework for studying are a whole other can of worms. And along with that book I'd probably publish 60 or so supplemental questions to cover some things that I think are left out of the guides. Of course not - that would be silly:) But, at least in my experience in dealing with a lot of people that have already done classes/tutoring at the big test prep companies there are way too many GMAT studiers who focus MOST of their preparation on third party materials. And it's not because these people are lazy or stupid. This is what is recommended to them. Or at the very least it's not strongly encouraged that they do otherwise. It almost seems as if the official materials are an afterthought. I just wouldn't recommend that as a strategy for doing well on the GMAT. If you want to use some companies syllabus and learning material as a structure for studying. Sounds good. Go ahead. I think that can work. But, pair that with mostly official GMAT questions. Don't dive headfirst into third party question banks or CATs. If you want to supplement a little bit of extra tough or content specific third party material then go for it. But, take it easy with that stuff. In small doses it can be helpful BUT don't obsess over difficulty or specific content. 1. In my opinion the major problem with test questions that prep companies offer is that these questions sometimes are ill-suited and ambigious. I have seen many times in this site how people discuss that this or that question is poor since two answers are possible and both answers do not look very convincing. So in this case i recommend to practice official GMAT questions if possible. 2. Prep companies material. In my opinion prep companies like to tailor questions to their test theory i.e they try to show how easy it is to apply their material to solve test questions. But the problem is that these questions are not randomly selected. They are specially choosen to show the validity of test material. But i ask to solve random question i am not sure that this will be successful. I couldn't agree more, especially on the Verbal section! It's not a coincidence that most of those standing up for non-official GMAT materials are the very ones who are most invested (monetarily and otherwise) in their success, which is the very definition of a conflict of interest. For example, if you work for one of the GMAT companies who writes its own GMAT questions and CATs (for copyright/profit reasons), then you are supposed to toe the company line and claim that your questions are just as good as the ones on the real GMAT. But the reality is this: no synthetic GMAT practice test, no matter how good, is as realistic as a test written by the GMAC, in the same way that practicing on a flight simulator is never quite as realistic as is flying an actual plane. You would be surprised how many GMAT students don't even realize during their preparation process that the practice questions and tests from Magoosh, Manhattan GMAT, Veritas, Kaplan, Princeton Review, et al. are not real GMAT questions. Of course, the aforementioned companies are not exactly in a rush to tell you this! Synthetic GMAT questions range in quality from horrible to excellent, so it's hard to talk about them in a general sense, other than the fact that they should be avoided if possible and only used sparingly when necessary. Of course there are excellent preparation materials out there--it's just that they could be so much better if they used real GMAT questions as examples. I do believe that deep down, most of these tutors (or at least the good ones) recognize that real GMAT questions are superior...but they can't fully admit it. Originally posted by mcelroytutoring on 29 Jul 2016, 17:03. Last edited by mcelroytutoring on 31 Dec 2017, 01:06, edited 6 times in total. What is suggested makes sense, and I agree with it. However, it is close to impossible to follow. I am trying to follow it but quickly hitting an issue. Let's say I am using a course or a book set or i just came up with a syllabus on my own and I have just learned Odd/Even numbers or number theory - how do I practice/cover these topics using the official materials? Is there a Number properties or Geometry Question bank I can get? Do I use official guide or do I use paper tests that GMAC sells or should I get the QP1? Can I start with easy difficulty and then proceed to harder? I think for a student who is using a course/book set, it makes sense to practice with the questions that follow that material. E.g. I have used Kaplan Math workbook and it had 10-15 target questions at the end of each topic (they were not even GMAT-like questions, they were just equations or sentence questions... gasp!) and apply immediately the concepts I have learned. Then once I have mastered the small concepts and covered a good section of the material, I can go and play with the OG and peck around it and hopefully hit the questions i covered instead of attempting something I have not gotten into yet. Now, it is easy to spot the question type for quant - try getting done for SC where half the question have an an issue with "grammatical construction"
P.S. I agree with all of you guys, but how does it translate into action for a person reading this post and looking to start their prep? P.P.S. I have taken my GMAT without having seen the OG, which was a mistake but I still managed to score 750. I have relied on the questions from the GMAT Prep to get my ear trained, and frankly, it was sufficient to take a few tests to transition from the Kaplan CR-logic to the more refined official assumption/conclusion/inference elements. Yes, the questions were different, but it was not like driving a car in US and then going to London, it was more like switching from Buick to a Toyota, did not take long to adjust. I may be old school but I blieve that If you know the material behind the questions, you should be able to answer questions about it. Sorry this pps is so long. Did not mean for it to be. You would be surprised how many GMAT students don't even realize during their preparation process that the practice questions and tests from Kaplan, Manhattan GMAT, Veritas, et. al are not real GMAT questions. Of course, they are not exactly in a rush to tell you this! Your information is incorrect - GMAC does not allow prep companies to license their questions. GMAC used to allow about 10 years ago with Veritas Prep but then they pulled the plug on it, so they are the ones to blame for prep companies having to create questions. It would be incorrect to imply as though Prep Companies are trying to deceive the world by trying to pedal their own questions. I am sure they are not thrilled with having to write those either. (I am not talking about some obscure prep company in India or Russia that is trying to swindle people out of their money). The Prep companies are facing 2 issues: 1) They can only rely on the OG so much since it is generally easier and incomplete in a number of ways, and it is just impractical to have to go to OG for every question. Regardless, many of them have incorporated the OG into their curriculum to the extent possible. I know many require their students to buy OG or they supply it with the course books. GMAC has started allowing prep companies to use Official Guide questions in the course as long as every student uses the guide though that policy seems to have been all over the place. P.S. Based on what has been implied - it seems you are confident there is a flood of poor quality unofficial questions. I would love to see some facts or examples of poor quality questions from the major prep companies - MGMAT, Veritas Prep, or Kaplan, especially quant ones; verbal are much harder to judge. Thank you. Originally posted by bb on 29 Jul 2016, 17:18. Last edited by bb on 29 Jul 2016, 17:19, edited 2 times in total. It would be incorrect to imply as though Prep Companies are trying to deceive the world by trying to pedal their own questions. I am sure they are not thrilled with having to write those either. I wouldn't say that these companies are actively trying to deceive GMAT studiers when peddling their own questions, but I do think that many of them try their best not to call attention to the issue of official vs. non-official questions. It is true that some companies are starting to incorporate the OG more often, and I respect that. It would be nice if they started including the GMATPrep questions as well, since those are harder than the questions in the OGs. As far as how to practice certain skills, I would refer students to similar questions from the Official Guides, using resources such as the GMAT Club Guide to the GMAT Official Guide 2017ed, which does a great job of classifying questions by type (though that task is always a challenge since GMAT questions always include several elements). Or, like Andrew, I would provide supplemental questions of my own, including questions I've written myself and questions I've found through 3rd-party resources, in order to fill any gaps in the official questions. Originally posted by mcelroytutoring on 29 Jul 2016, 17:30. Last edited by mcelroytutoring on 31 Dec 2017, 01:07, edited 6 times in total. Not only that, but the questions on GMAT Club are also categorized through tags, which allows you to search for examples of / explanations to official questions of a certain type. However, I agree that many GMAT studiers tend to fixate too much on categorization. There are dozens of reasons why one might get a GMAT question wrong, and only some of these reasons are directly related to the specific category of question being asked. Secondly, if you know what type of question you are practicing, then it makes the questions inherently easier because you know what's coming. On the GMAT, you never know what's coming next. It's fine to start your studies that way, but by the time you take the GMAT, you should be practicing with random questions, not canned drills. Originally posted by mcelroytutoring on 29 Jul 2016, 17:47. Last edited by mcelroytutoring on 31 Dec 2017, 01:07, edited 2 times in total. Your information is incorrect - GMAC does not allow prep companies to license their questions. What information of mine is incorrect? I never claimed that GMAC does allow prep companies to license its questions. I simply stated that the prep companies' questions are not real GMAT questions, and that in many cases they are not in a rush to disclose this fact. Yes, I am confident that there are many poor synthetic questions, especially in IR / Verbal, because as a private tutor I work with dissatisfied former students of these companies, who show me these very questions. Over time, I will try to point them out individually here on the GMAT Club forum. However, my main focus is on explaining the thousands of real GMAT questions that are available, which is why I try not to waste too much of my time, or more importantly, my students' time, on synthetic, imitation GMAT questions. I also disagree that the answers to verbal questions are much harder to judge. Well-written verbal questions should have only one defensible answer. It's just that verbal questions are a lot harder to imitate than are quant questions, which are mostly a matter of switching out numbers from the available pool of real GMAT questions. Verbal questions also require mastery of the English language, as opposed to Quant questions, which can be understood through the universal language of mathematics (though there is of course a reading aspect as well). Sometimes the issues with non-officlal questions are more subtle than their simply being incorrect/obviously flawed, such as subject matter that is never/almost never included on the real GMAT (calculating standard deviation, for example), ambiguously worded questions, equivalent answer choices, or questions that are either too easy or too hard to be realistic. 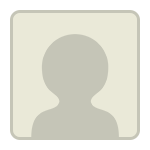 Originally posted by mcelroytutoring on 29 Jul 2016, 18:07. Last edited by mcelroytutoring on 31 Dec 2017, 01:08, edited 4 times in total. People who are yet to take gmat are confused by varied testimonials of people who have completed gmat. Some say og is waste of time as the questions in the real exam did not resemble those in the OG rather they were similar to those in GmatPrep. I can come to a proper conclusion only after facing the r eal gmat however my assumption is that people comment on difficulty based on areas of quant or verbal in which they have or have not built sufficient strength! I want to add a few words about your comment. I though about this many times. And i this is what i want to say. Every test-taker has his/her own abilities i.e some are good in Quant, some are good in Verbal and it is naturall abilities. I mean some people know math very well and some have problems with Quant. The same is true about Verbal. What i want to say is that everybody has his/her own limits and one can work hard to improve but still there are limits that every individual has. For example, i am not very good in math (though i scored 44 in Quant section last time) and i know that it is almost impossible for me to score 51 even if i buy all math books and spend much time trying to master certain concepts. Yes one can always improve his/her score (for example, from 35 to 45) but this range is different for every person. Your example shows that your "average level" is very good in both section and you are not likely to score low. If you take GMAT once again your score will fluctuate around 750. This is like my TOEFL exam. When i took the test i knew that my score will hoover around 100 and bad result is possible only if somehow i fail the test (because of headache or lack of luck for example). So i am sure that test questions and their quality are not the only factors that make final result.